WDC FCCLA chapter members attending a leadership conference recently in Morris, front, from left: Elliot Doyle, Casey Bounds, Morgan Grangruth, Frannie Bakken, Caitlin Savage, Madyson Beversluis, and Angela LeComte. Back, from left: Phoenix Gray, Mikayla Varela, Megan Hamelau, Jenny Varela, Gracie Arm, Emma Mehl, and Caleb Cully. Photo by Cindi Koll, FCCLA Advisor. 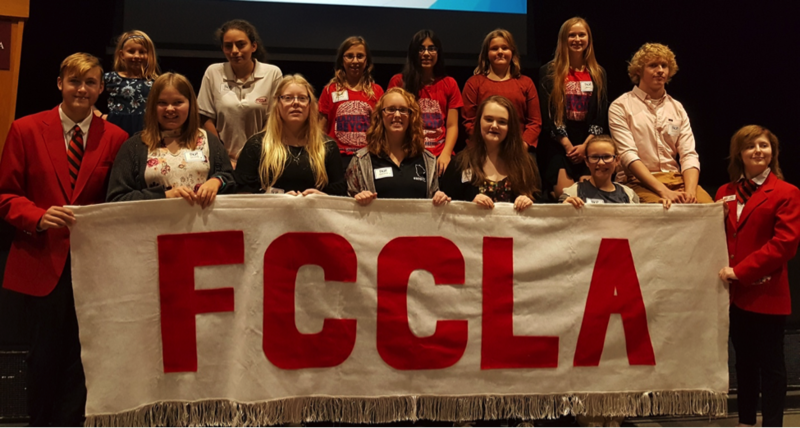 Thirteen members from Wadena-Deer Creek’s Family, Career, & Community Leaders of America recently attended the MN FCCLA Central West Area Conference held on the University of MN Morris campus. 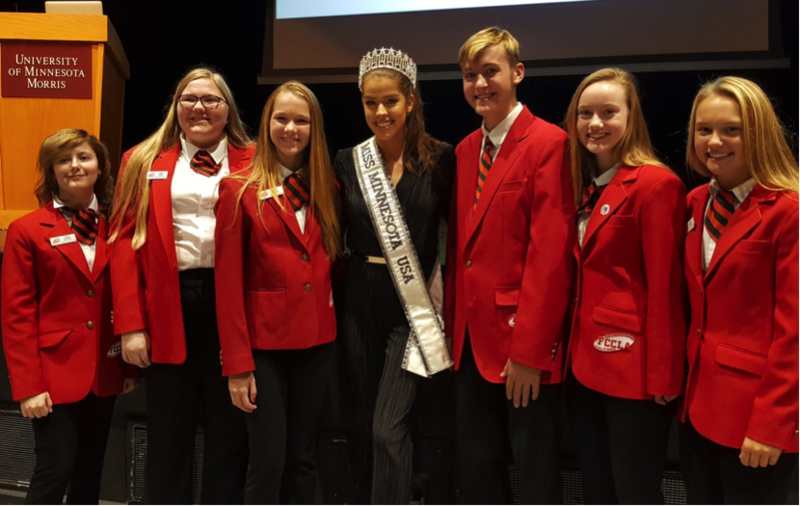 As the FCCLA Central West Area President, Ellilot Doyle presided over the the opening and closing General Sessions. Angela LeComte, the Area Peer Educator participated on stage in those sessions. Frannie Bakken and Emma Mehl, along with Elliot and Angela, taught round table workshops informing delegates about state and national FCCLA programs. Cindi Koll and LaDonna Norenberg serve as WDC’s FCCLA co-advisors.